← Our Customers Are Key To Success! The economy is very challenging, and small businesses everywhere are doing what they can to reduce expenses. The cost of office supplies is being scrutinized more today than ever. Many office products buyers are considering private label and store brand items to cut the cost of office supplies. But there is always that reservation about private label and low prices; are they too good to be true. Do private label office products really offer the best value, or do you simply get lower prices offset by shoddy quality? The answer actually varies by product category. As an office supplies expert who tests and reviews products on a regular basis, I’ve found that some private label items are as good, and sometimes better quality than the national brands, at a significant savings. I’ve also seen store brand office products with poor quality, where you’d be far better off sticking with the more expensive national brand. The first key to saving money and getting value from private label office supplies is to know which product categories give you both low prices and high quality. The other key is understanding what value brands are best, and where to find them. Let’s start by addressing which store brands in general have the highest overall quality. Universal is my choice for the highest quality value brand. Pricing is usually 30-50% less than national brands, and the quality is often identical. In fact, many Universal products are manufactured by the leading national brands, and so you aren’t trading quality for lower prices. My second choice is Sparco who, like Universal, often uses nationally known manufacturers to make many of their items. Items like Universal Hanging Folders and Classification folders are excellent quality with great price. Both are good choices, and better than “Office superstore” private label brands. The huge big box chains often use China manufacturers they have sourced themselves, so they can buy directly from the source. Their buying practices force these suppliers to drastically cut quality to give them the low pricing they demand. So, rule number 1 is Universal and Sparco brands typically are ok, but be a leery of office superstore private label. Now to the product categories themselves. Keep in mind, I’m speaking of Universal brand items in particular. The first category that’s a no brainer for value brands is binders for the office. Be it standard 3 ring binders, view binders, or the higher quality D-ring binders, the Universal brand offers good quality at prices up to 50% less. The other category is “standard” filing supplies. Universal items like classification folders, hanging folders, and colored file folders are great values. I will say if you need specialty folders like for medical filing needs, stick with Smead, the best known national brand. Other categories with good quality and value prices are Universal copier and printer paper, address labels, markers, highlighters, and smaller items for the office like staples, paper clips and rubberbands. 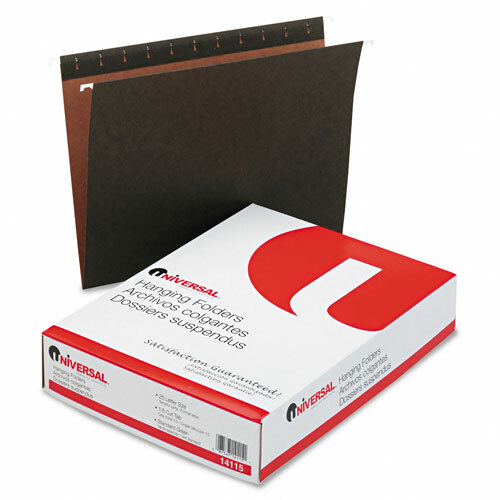 Universal legal pads, add rolls, easel pads, and many other “office staples” are national brand quality with discount pricing. So which Universal items should you avoid? I feel 3M Post-It Notes are the best, and no one has been able to duplicate their quality. If you want to save money, don’t scrimp on Post-Its. This applies to Post-It flags and Super Sticky notes too. Staplers and paper punches are another area where Universal prices are a lot lower, but the performance and quality are not to national brand standards like Bostich and Swingline. Other categories to be careful of are desk accessories and higher end shredders. Other than these few categories, Universal will save you big money and give you the quality you need. 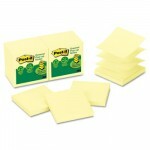 No one can match the quality of 3M Post-It notes. Stick with the national brand. Where do you find Universal brand products at low prices? 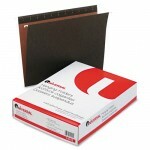 Universal is the “value brand” carried by many independent office products dealers. I buy all my office supplies online from a family owned company that does good work in the community by donating half their profits to charity. They offer free next day nationwide shipping, I save money, and I feel good when I buy from them. I recommend you always stay away from the big chain mega-stores. Their private label quality is poor, and I avoid big corporations whenever possible. Now, happy shopping and go save your small business some cash using value brand office supplies. This entry was posted in Office Supplies Shopping Tips and tagged binders, Classification Folders, office products, office supplies, Office Supplies Online, private label, Smead, universal. Bookmark the permalink. 2 Responses to Are Private Label Office Supplies Good Value? Good day! I simply want to give you a huge thumbs up for the great information you have here on this post. I’ll be coming back to your web site for more soon. And thanks to you for your comments. Come back for more office supplies information!